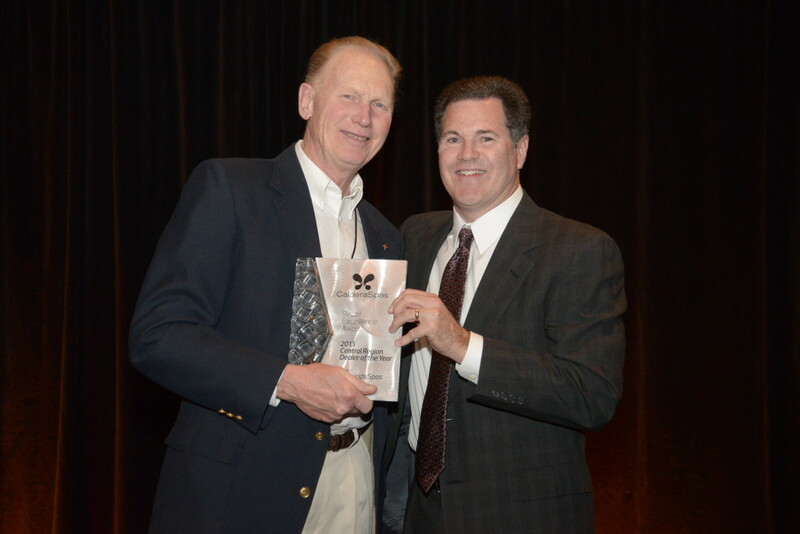 Keith Wingfield of Tradewinds Spas receives the Caldera Central Dealer of the Year Award for 2014. Caldera Spas is the hot tub brand designed for people seeking improved well-being and exceptional self-care. Featuring signature Pure Comfort®, performance and style, Caldera is one of the world’s most trusted hot tub brands. Established in 1976, Caldera is owned by Watkins Manufacturing Corporation, the acknowledged global hot tub leader. Watkins is a division of Masco Corporation, a Fortune 500 company, whose fine home products include Delta® faucets, KraftMaid® cabinets, and Behr® paints.